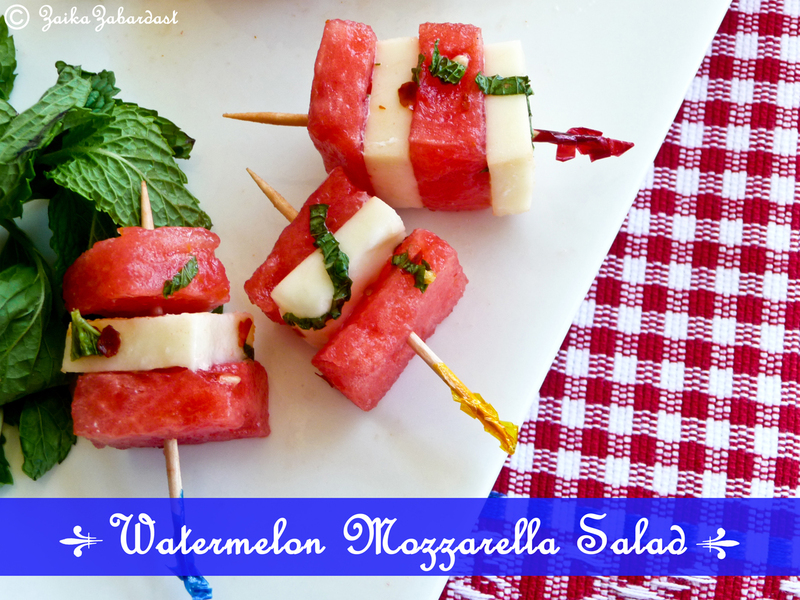 Watermelon Mozzarella salad is very easy to make, flavorful and crowd pleasing. It is perfect for your BBQ parties or any other summer gatherings. This salad reminds me of my visit to my in-laws in San Francisco last fall. I was very nervous since I was seeing them for the first time after marriage. But Fortunately V’s family was very supportive and excited to welcome me in their family. I also had chance to win their hearts and I did not miss it. I made this gorgeous watermelon salad for them and guess what they loved it!! YAY!! Felt soooo good. The original recipe uses cantaloupe but I really did not enjoy the flavors. But when I tried it with cold watermelon, I fell in love with it. The magic is all in the zesty salad dressing! 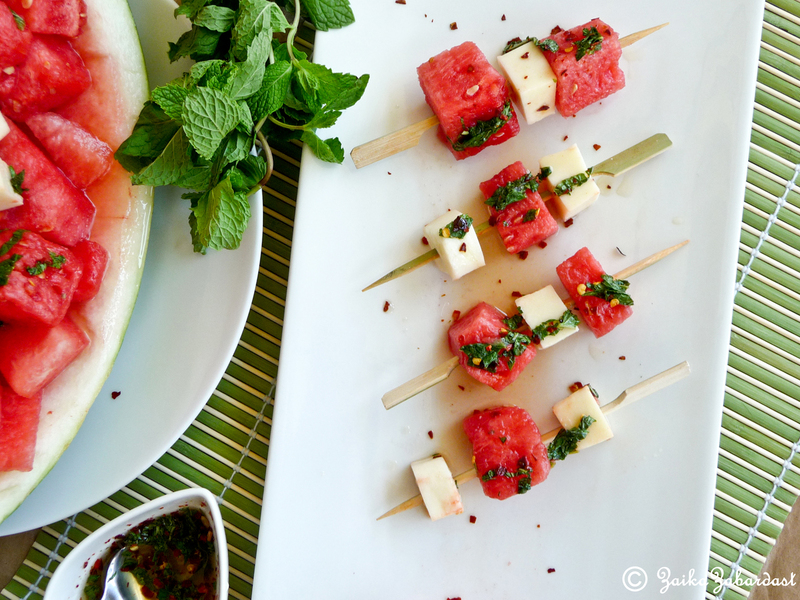 It helps to bring out the flavors of watermelon and marinates Mozzarella as well. And believe me it is very refreshing, light and delicious. Now we prefer to eat watermelon this way only! 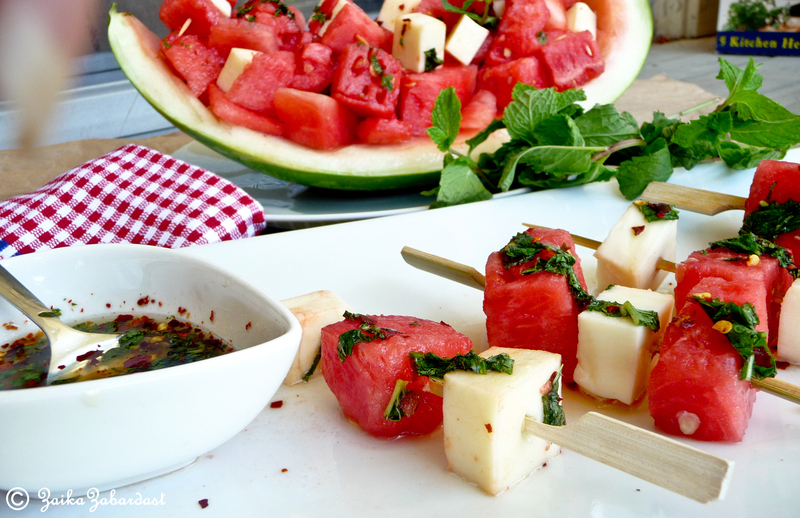 Put watermelon cubes and mozzarella in a serving bowl. 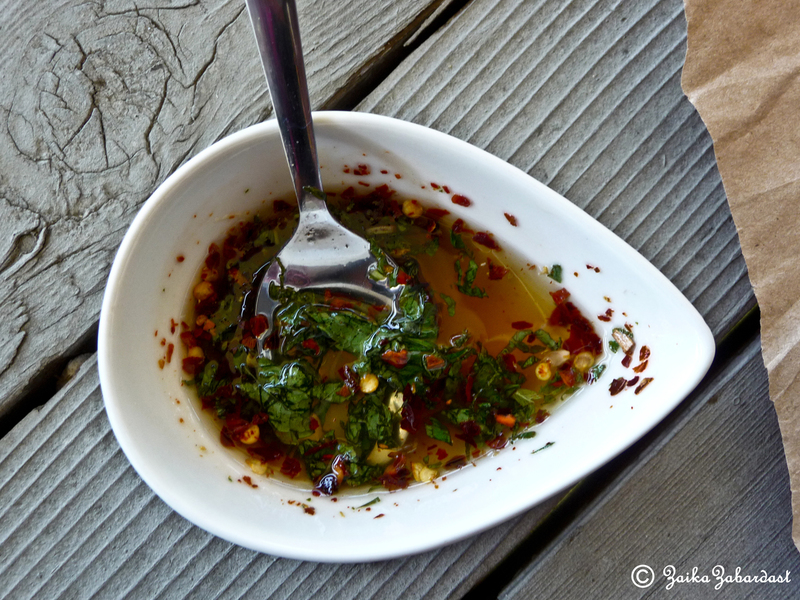 In a separate bowl, whisk together honey, freshly squeezed lemon juice, chopped mint, salt, and crushed red pepper. Pour dressing over the melon and mozzarella then toss to combine. Serve immediately. Enjoy! I guarantee you will Love it! Very refreshing and healthy salad..summer’s are great to enjoy light salads and watermelons are a treat. You said it right Raji! Looks delicious, but I’d probably put a LOT less red pepper in the dressing! Thank u Lesley! Less red pepper should work too. Enjoy! I love the combination of fresh and bright flavors here! We’re going to try this tomorrow. Looks gorgeous.